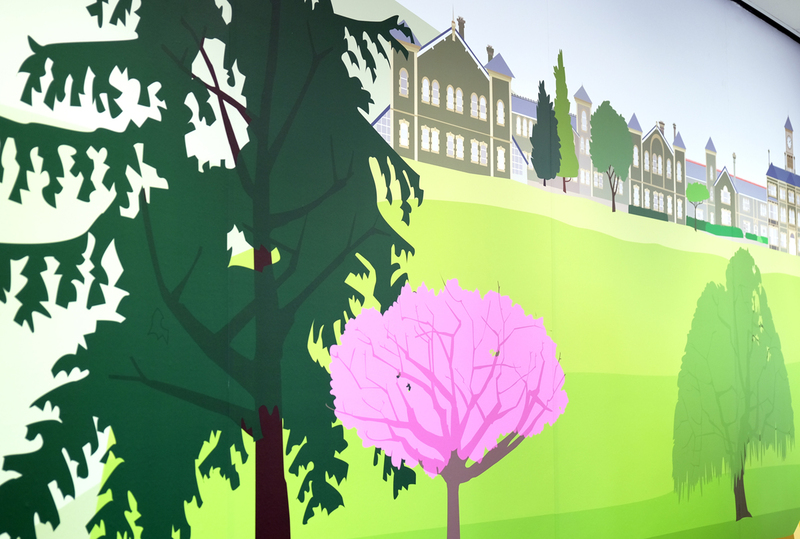 This design for a long wall in the library at Glenside (part of the University of West of England Bristol) was all about looking at the architecture, landscape and geology of the campus, to create a piece that celebrates this unusual site. 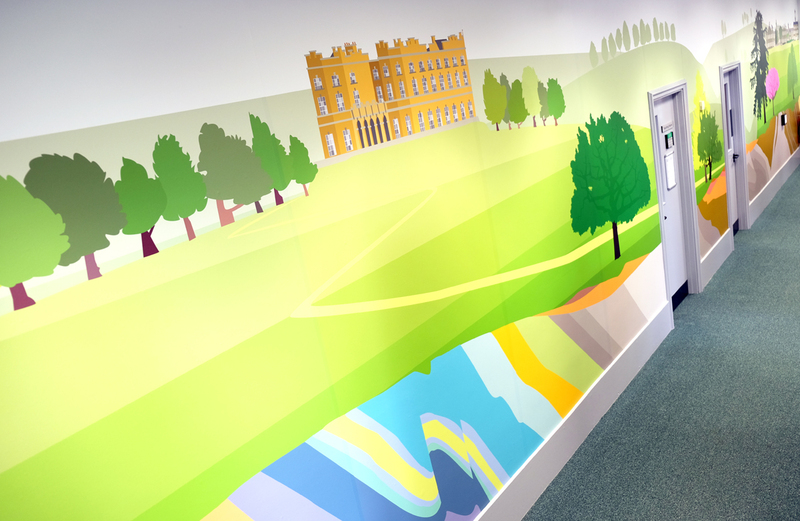 The main layer of the design shows the overall shape of the surrounding landscape, highest on the left by the Dower House, dropping down through Stoke Park to the River Frome before rising steeply again to the Glenside site on the right. The five large trees are ones chosen by library staff from the many growing in the grounds. The lowest slice of the design is inspired by a 1961 geological map of Bristol and shows a cross section of the rocks found in the area – the greeny greys and greys on the left are the colours used on geological maps to represent coal measures such as those found below Fishponds. If you look closely at the trees on the wall, you’ll find a way to locate them in the grounds. A second smaller design, again inspired by the Glenside trees, was commissioned to act as a way marker directing students to the quiet study area upstairs.